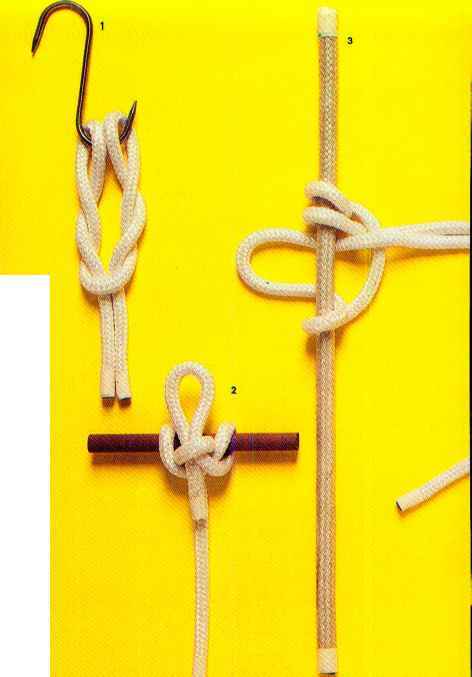 This is a simple knot which is rarely used at sea, although it is often used on land by campers and hunters to snare birds and small game. 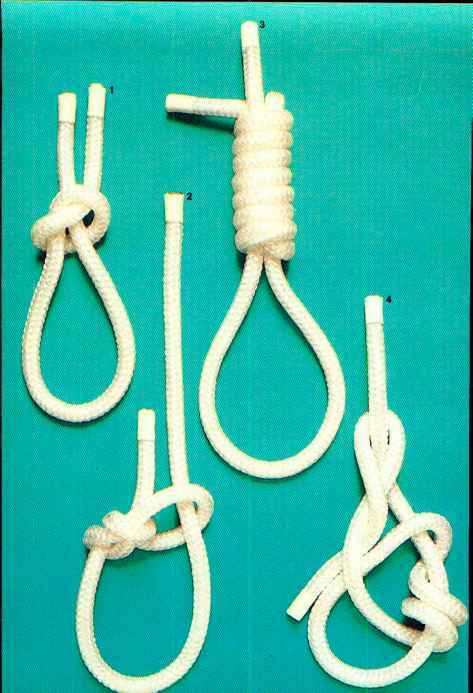 The noose is also used to put tackle cables under stress. 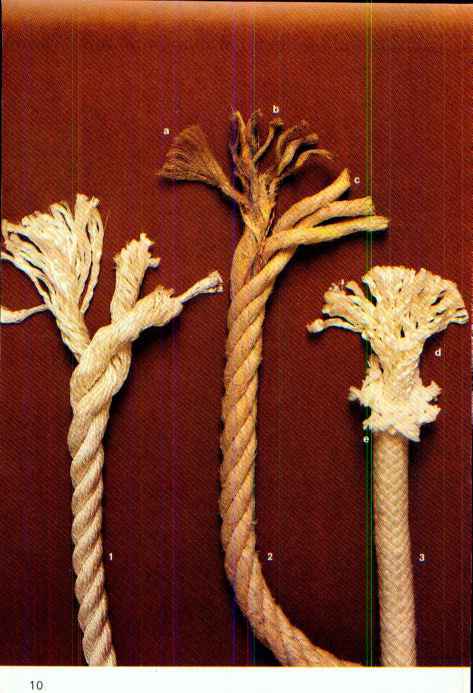 It is made in small-diameter rope such as string and horsehair. 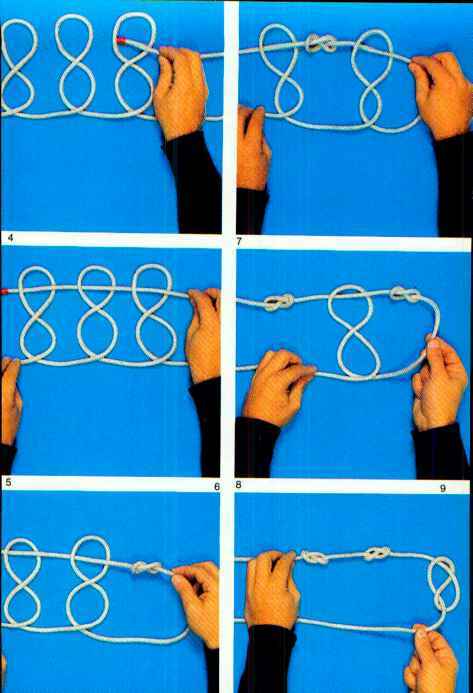 Make a loop at the end of a rope, then take a turn with the end around the standing part to form a loop 1 . 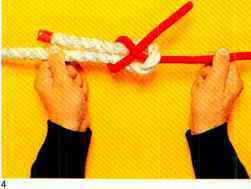 Make an overhand knot in it with the end 2 and tighten the knot by pulling the end 3 . This is universal and can be used at sea and in climbing and camping. Poldo tackle is a truly ingenious device thanks to the fact that it runs on a closed loop, it is self-locking. 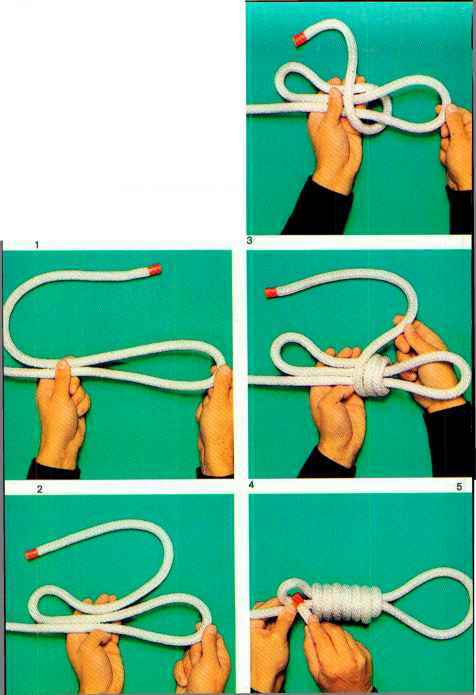 Make a bowline at one end of a rope. 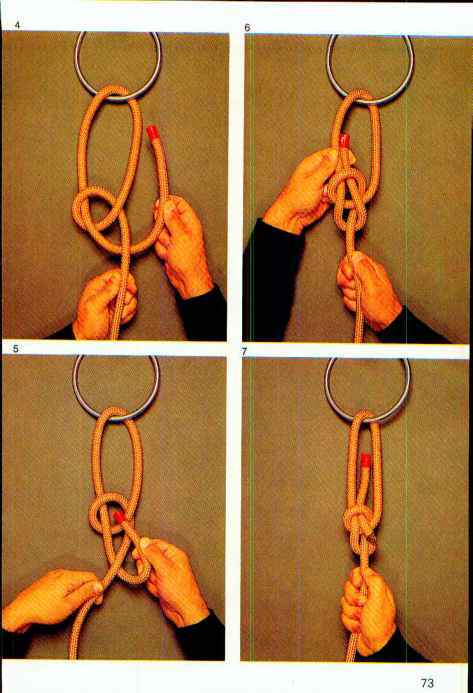 Run the other end through the loop of the bowline then tie the end on itself with another bowline. 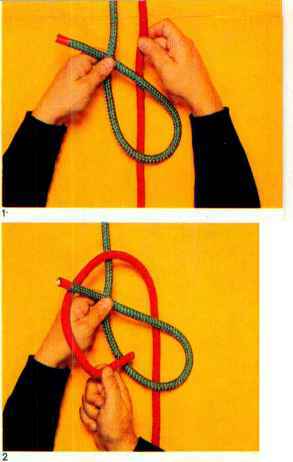 The photographs 1, 2, 3 show the minimum and maximum extensions of the knot. N.B. 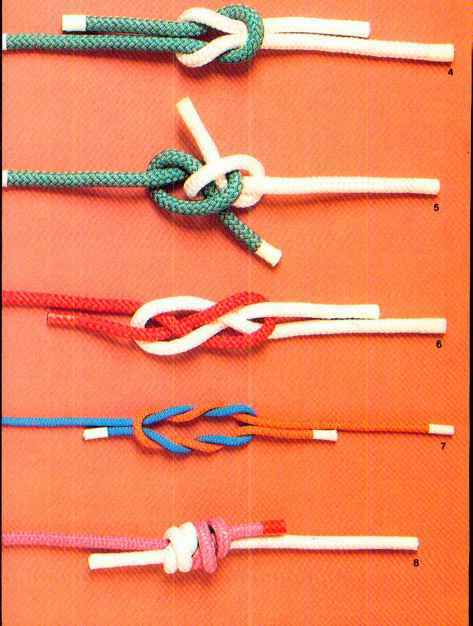 Man-made ropes should not be used forthis knot by climbers.